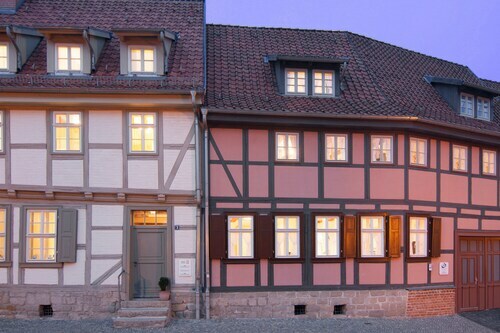 Located in the heart of Quedlinburg, this spa hotel is within a 5-minute walk of Market Square and St Nikolai Church. Fachwerkmuseum Standerbau and Klopstock Museum are also within 15 minutes. Quedlinburg Station is 11 minutes by foot. Located in the heart of Quedlinburg, this romantic hotel is within a 5-minute walk of Quedlinburg Cathedral and Klopstock Museum. Quedlinburg Castle and Fachwerkmuseum Standerbau are also within 10 minutes. Quedlinburg Station is 17 minutes by foot. Situated in the historical district, this apartment building is within a 10-minute walk of Market Square, St Nikolai Church, and Fachwerkmuseum Standerbau. 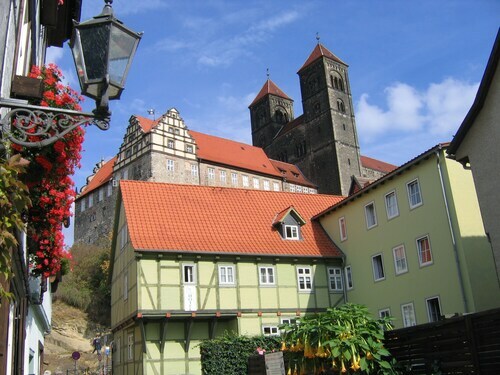 Klopstock Museum and Quedlinburg Castle are also within 15 minutes. Quedlinburg Station is 13 minutes by foot. This family-friendly Quedlinburg apartment building is located in the historical district, within a 10-minute walk of St Nikolai Church, Fachwerkmuseum Standerbau, and Klopstock Museum. Market Square and Quedlinburg Cathedral are also within 15 minutes. Quedlinburg Station is 7 minutes by foot. How Much is a Hotel Room in Quedlinburg? Hotels in Quedlinburg start at $63 per night. Prices and availability subject to change. Additional terms may apply. If you are spending time in Harz and desire a place to rest and relax in Quedlinburg, you can discover a wonderful range of Travelocity options. 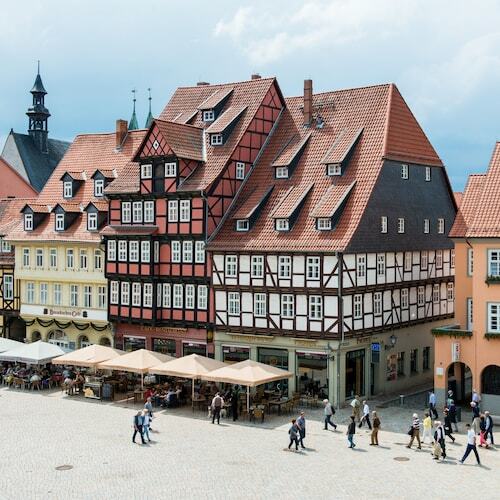 You'll be able to pick and choose from around 13 places to put your feet up within easy driving distance of the center of Quedlinburg that are part of Travelocity's booking portal. Enlightened travelers can tell you that hassle-free wandering is the wisdom to choose your location carefully, so when planning your vacation check out the Hotel Quedlinburger Hof and Acron Hotel Quedlinburg, which can be found a short distance of the town center. 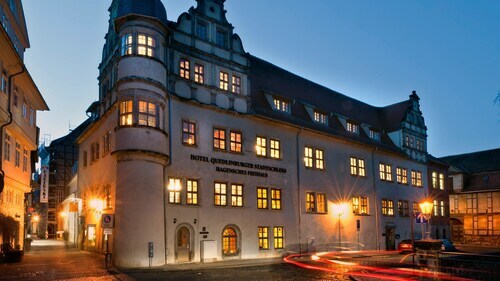 Quedlinburg offers a limited range of budget accommodations; you'll find the Acron Hotel Quedlinburg located 0.07 miles (0.11 kilometers) from the town center. 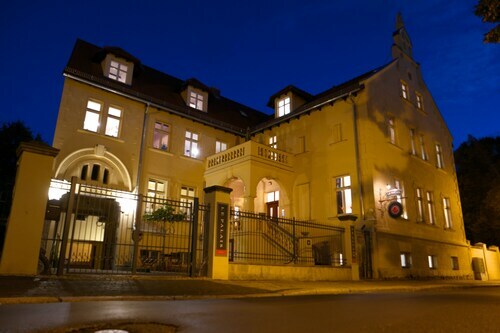 The Best Western Hotel Schlossmuehle is located 1 mile (2 kilometers) outside of the town center of Quedlinburg. Another option is the Wyndham Garden Quedlinburg Stadtschloss, which is located 0.5 miles (0.9 kilometers) away. Another two options in the area are the Schlosshotel Blankenburg/Harz along with the Parkhotel Unter den Linden. If time allows, adventurous travelers should explore the other scenic and cultural delights of Saxony-Anhalt. Get around Saxony-Anhalt's castles and old towns. Those wanting to explore some natural spaces should also put aside some time to admire its forests. Wise travelers in this area of Germany adore snowboarding. Still looking for things to do? Spend the day visiting Goslar Imperial Palace and Mines of Rammelsberg, which can be found in Goslar, 35 miles (52 kilometers) to the west of Quedlinburg. 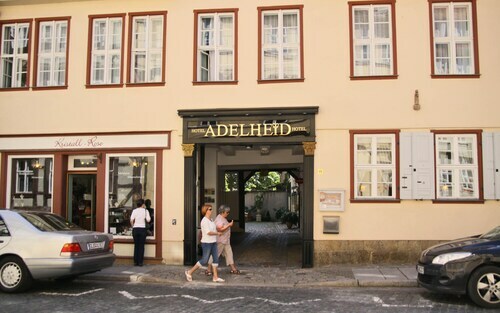 The Altstadt Hotel Gosequell and RAMADA Hotel Baeren Goslar are a few of the Travelocity-listed accommodation alternatives in Goslar. 20 miles (35 kilometers) west of Quedlinburg, you'll also find Sorge, which is home to the Hotel Tannenpark and Landhausferienwohnungen Am Brockenblick. If you come to Sorge, be sure to visit the Grenzlandschaft and Museum Sorge and Ring der Erinnerung. If you're traveling via Leipzig - Halle Airport and plan to find a room in the area, try Globana Airport Hotel or Landhotel Glesien. Great location. Tina was very helpful. Comfortable hotel. Only thing would have been nice to have was a cup of coffee or tea early am or at night. Two-night stay. Our room (#5) was tiny, a narrow corridor with two twin beds shoved head to head against the wall and a single window at the end of the room. The room was by far the smallest room of our 3 week tour of Europe. Inadequate cabinet or closet space. No place except the floor to put anything in the bathroom. Wifi would not work anywhere in or near the room -- my wife and I had to sit in the central second floor lobby seating area on the single love seat or go downstairs to the breakfast room to connect s-l-o-w-l-y to the internet. Very creaky and noisy hallways and stairs - guests coming and going all night - hollering and yelling after their evenings out at the pubs. No staff available after 6pm, so you are on your own regardless of how unruly other guests are. There is a large busy Brew Pub directly behind property - the yelling and loud drunks from the beer garden went on into the wee hours of the morning. Hotel has no parking - we were not aware of this when making our on-line Travelocity reservation. We were told to park in one of the public lots 2-4 blocks away for 5 Euro per day - but the lots were all full. We had to park nearly a kilometer away in a residential area and walk back to the hotel. This hotel is 2 star at best. Service was barely polite and civil. My USA issued credit card was discouraged with a sniff and a sneer - she wanted me to go to an ATM and get cash. I refused and insisted on use of the credit card per the Travelocity terms. Holiday in a Memorial - Your Holiday Home "kaiser Eins"